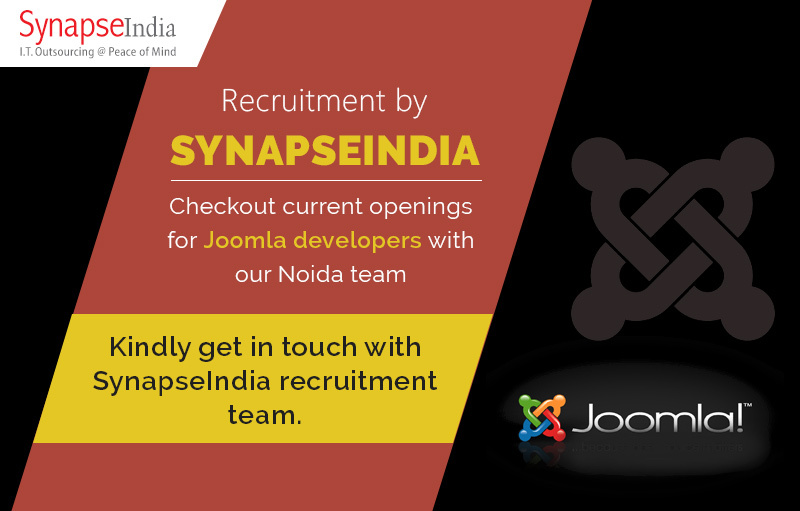 SynapseIndia recruitment team is looking for smart & innovative Joomla developers for our web development team at Noida office. SynapseIndia is hiring Joomla website developers to work on the projects of our international clients. We require people with relevant experience of working on Joomla technology. If you are willing to work on challenging IT projects in a delighting workplaces environment, SynapseIndia is the place to be at. We have also been acknowledged for offering quality workmanship by reputed publication. To apply for current openings with us for Joomla website developers, kindly get in touch with SynapseIndia recruitment team.